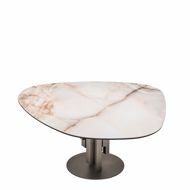 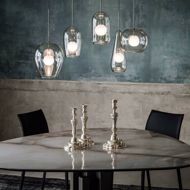 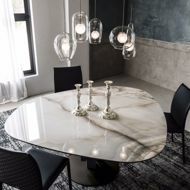 The SKYLINE collection, by CATTELAN ITALIA, is a family of modern Italian dining tables and occasional tables that offer contemporary styling through their use of material, line and shape. 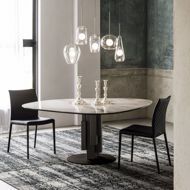 The SKYLINE dining table comes in a variety of different shapes and sizes, with the ability to choose from a variety of tops in ceramic, mirrored glass and wood to fit your style. This ceramic model features an unique contemporary shape, which definitely creates a statement. 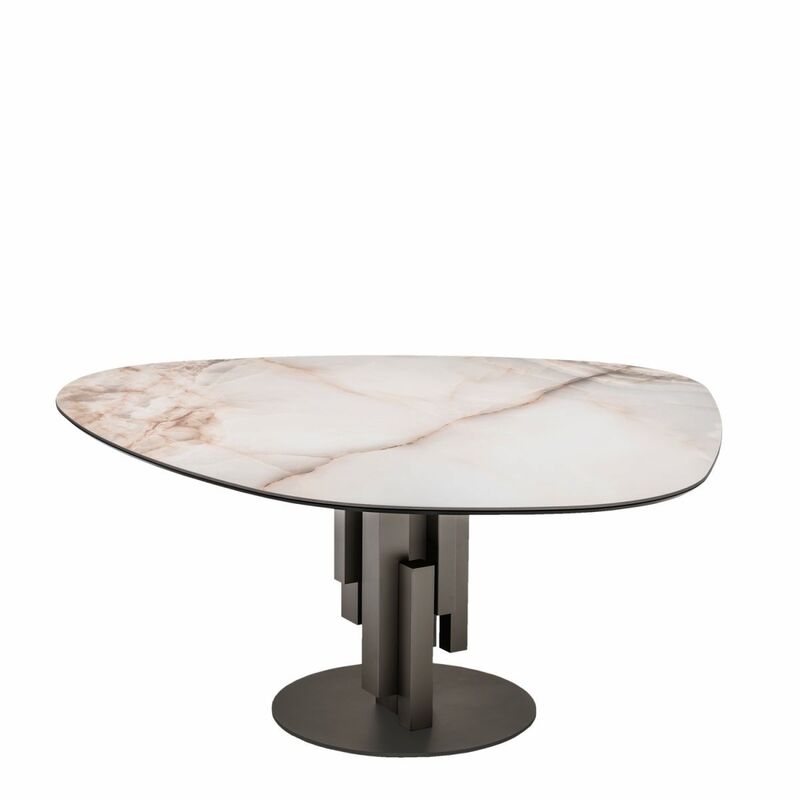 To complete the look, the SKYLINE offers consoles and occasional tables, as well as matching perfectly with the MANHATTAN floor lamp.